They were very professional, clean, and neat. They got here when they said they were gong to, and I thought they made the repairs in good time. They didn't let my cat out of the house. That we've been using them for 8 years, and they are fabulous. I think it's great service for the price, and they do very thorough work. That they do excellent work for reasonable pricing, it's not the lowest, but it's reasonable. They are always on time and deliver what they say they are going to deliver. 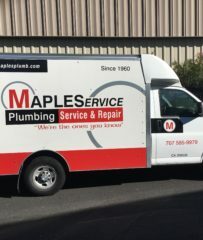 MAPLEService, Inc. installs, services, and replaces all types of plumbing systems for residential and commercial clients throughout Sonoma County, including toilets, faucets, and tankless and standard water heaters. The company also has the training and equipment to handle water and natural gas distribution, trenchless and conventional sewer replacements, leak location, and more. 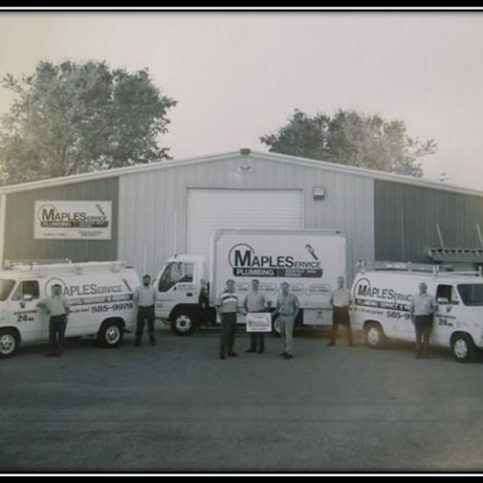 Owners Roger, Rodney and Dale Maples are second-generation proprietors of MAPLEService—their father, Wayne, founded the firm in 1960. 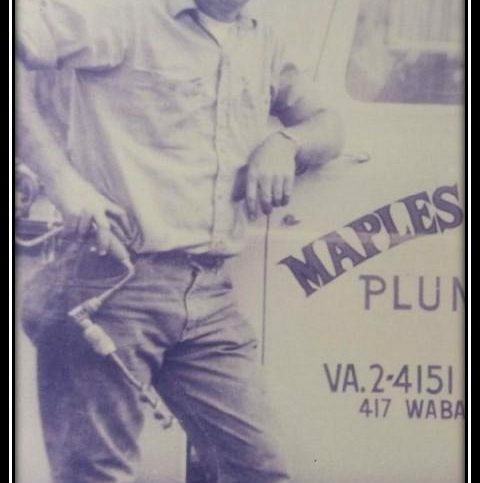 Roger Maples credits his company’s years of success to its commitment to integrity; customer satisfaction; and providing trained, qualified technicians to take care of customers’ plumbing repair needs. “Our goal is to be each customer’s plumber for life,” he says. DIAMOND CERTIFIED RESEARCHED CAPABILITIES ON Mapleservice, Inc.
DIAMOND CERTIFIED RESEARCHED ARTICLES ON Mapleservice, Inc.
MAPLEService’s fully stocked “rolling warehouse” trucks allow its technicians to spend more time serving customers. A recent television commercial for MAPLEService asks viewers how a company manages to stay in business for 50 years, and then it answers its own question: by delivering satisfaction. 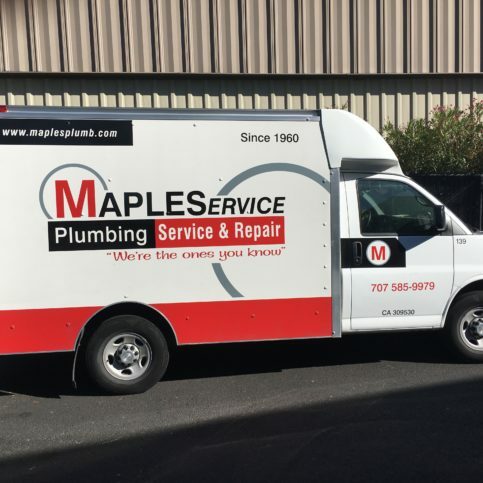 It’s been a winning formula for MAPLEService, one of Northern California’s most recognizable and trusted names in plumbing. 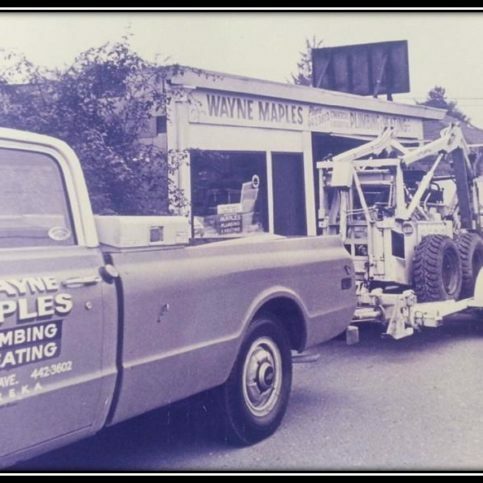 Founded by Wayne Maples in 1960, the company is now entering its second half-century in business under the management of Maples’ three sons, Roger, Rodney and Dale. The company performs service, maintenance and replacement on all types of plumbing systems for residential and commercial customers, including water heaters, water and natural gas distribution, trenchless and conventional sewer replacement, and leak location. Every MAPLEService plumbing professional is a cut above the traditional plumber, says Dale Maples. They’re exceptionally clean, professional, well-trained, and “someone you’d want to have in your home.” All are asked to attend training for up to four years, with four product-specific courses per year. They’re also encouraged to train and obtain certification in the California Uniform Plumbing Code, first aid, CPR, and gas piping, along with staying current on the evolving market for efficient water heaters. Their formal training typically runs at least five years, and the company encourages them to continue indefinitely. According to Mr. Maples, those high performance standards translate to an equally high rate of referral; more than 85 percent of MAPLEService’s business comes from referrals by other satisfied customers. The company can usually get a van to your site, provide an estimate and—because the vans are so well-stocked—perform the work all on the same day. When you call the MAPLEService office, someone picks up, even if it’s the middle of the night. In 2009, the company celebrated Dale Maples receiving the Leadership in Energy and Environmental Design (LEED) accreditation from the U.S. Green Building Council. As an accredited LEED professional, Mr. Maples is charged with helping determine which structures meet the environmental criteria necessary to be designated as Green buildings. You don’t need a plumber with sales training. You need one with plumbing training. These days, when plumbers say they’ve received training, it’s increasingly likely that they’re actually referring to sales training. It’s a trend that troubles Roger Maples, co-owner of Mapleservice. He suggests that when hiring a plumbing service company, you affirm their training is actually geared toward knowledge and skill —in particular, toward proper diagnosis of problems. “Training sells itself,” he says. There’s nothing wrong with a plumber seeking to forge a relationship with you, and vice versa, says Mr. Maples. But notice whether your plumber is attempting to win you over with competence or simply by plying you with salesmanship. “Knowledge and skill is the best way to develop a relationship,” he says. • Ask professionals in your area. Real estate agents, contractors and home building companies use plumbers regularly and can’t afford to tolerate poor performance. Their recommendations carry extra weight. • Look online. Websites that let people post reviews can be helpful. Keep in mind, though, that the people most motivated to write reviews are those who’ve had a negative experience. For a more balanced assessment, consider an unbiased source of information such as Diamond Certified. • When you find a plumber you’re interested in, ask the basic questions: Are they licensed? Do they carry liability insurance? How long have they been in business? What specific guarantees do they offer? Can they provide references? Q: Will you give an estimate over the phone? A: Until we see the situation, we just can’t. It wouldn’t be accurate, which isn’t fair to you. But we do give a fixed, upfront quote for all jobs. Q: How can I improve the energy use in my home? A: We’d recommend installing energy-efficient appliances and insulating your pipes. Q: What can I do to improve water use? A: Questions like that—reducing water use, reducing allergens, plumbing fixtures all going bad at once—involve lots of variables. Our best recommendation is to have one of our plumbers come out and see exactly what’s causing these issues. Q: Is that service free? Q: What’s a tankless water heater? What are its benefits? A: A tankless water heater only heats hot water as you use it. It doesn’t store any water in a tank. You’re looking at about a 30 percent operating cost reduction for that appliance. And you get a huge tax credit—30 percent of the invoice (up to $1,500). But that’s a credit, not a deduction. It’s a big difference, because it actually comes right off the amount of tax you owe. Q: How quickly can your people get work done? A: Because our vans carry so many parts and equipment, anytime our plumbers go out to do an estimate, we can fix problems right then. We usually offer same-day service. Some other companies might get you an appointment the following week, because they have to order parts. Not us. 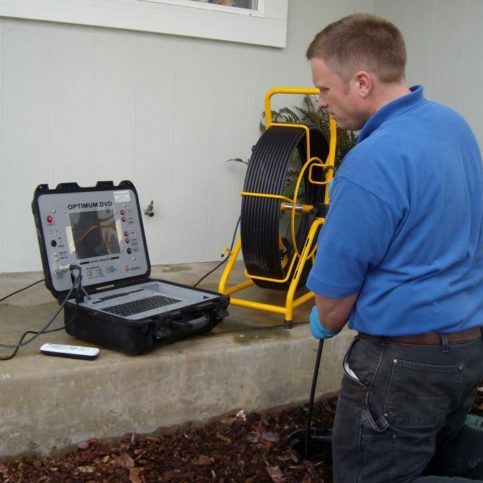 SELECTED PHOTOS FROM Mapleservice, Inc.
A MapleService technician performs a camera inspection on a sewer line. 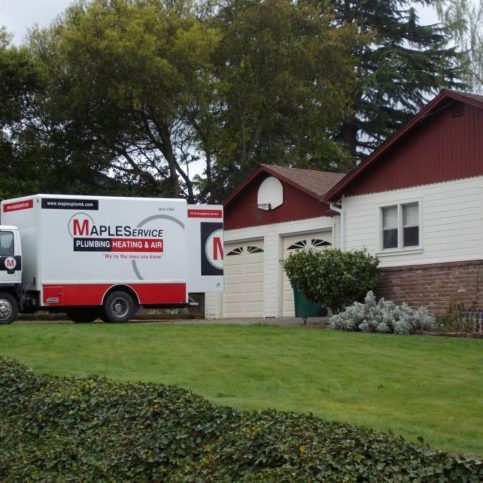 MapleService, a family-owned plumbing company for more than 50 years, services a Santa Rosa residence. 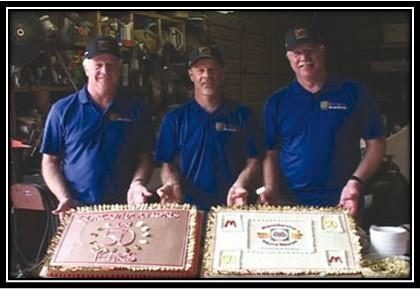 Roger, Rodney and Dale Maples are second-generation proprietors of MapleService. Gary Packard is operations manager of MAPLEService, Inc., a Diamond Certified company since 2004. He can be reached at (707) 585-9979 or by email. Outside of work, Gary spends much of his time in nature, whether hiking at Shiloh Ridge or fishing at local reservoirs. “I also enjoy coaching youth sports—over the last 25 years, I’ve coached everything from little league baseball to varsity high school football,” he says. “I appreciate the opportunity it gives me to be a positive influence on young people.” Additionally, Gary takes time to keep up with his two sons: Randall, who coaches a professional baseball team in Germany, and Dallas, who is currently working as a plumber while attending college. A: I played football and baseball, and I ran track. Q: If you were a professional athlete, what number would you wear on your jersey? A: 13. Most people think 13 is an unlucky number, but I’ve always had good luck with it. A: Winter. The snow on the mountains; the crisp, cool air—it’s like a new world. A: My Tonka truck. I actually still have it! 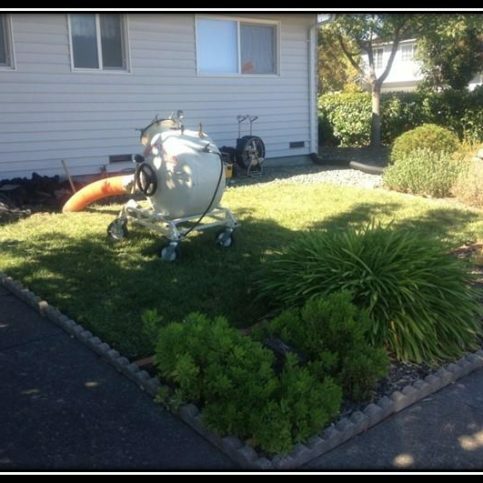 SANTA ROSA — With the arrival of more congenial weather, spring is the time when many people begin tackling various home maintenance projects. In addition to common “spring cleaning” tasks such as repainting your house or cleaning your carpet, it’s a good idea to inspect and service plumbing fixtures such as water heaters and toilets. Shut off the electricity or gas to the unit, depending on what it’s powered by. Attach a hose to the drain valve at the bottom of the tank and turn off the cold water supply to the tank. Turn on the hot water at a sink or tub in your house—this will prevent a vacuum from forming in the water lines. Open the drain valve to drain the tank. Make sure to run your hose outside, and remember, the water will be hot. Once the water has fully drained from the tank, turn the cold water supply back on to flush the tank of sediment. Once the water starts running clear out of your hose, turn off the drain valve (as well as your indoor faucet). Draining and flushing your tank in this manner at least once a year will help keep it clear of sediment buildup. After you’ve flushed your water heater’s tank, you should test the temperature and pressure relief valve, also known as the T&P valve. Located either on top or on the side of the tank, this valve’s function is to relieve pressure from the tank before it reaches dangerous levels, which makes it an important safety feature. To test, simply lift up the valve handle: if you hear the sound of water being released into the drain tube, you’ll know it’s functioning properly. If not, have the valve replaced as soon as possible. When cleaning a toilet, most people just clean the bowl, but it’s also a good idea to periodically clean the tank. To drain the tank, turn off the water supply to the toilet and flush. Use a rag to clean the inside of the tank. When you’re finished, simply turn the water supply back on to refill the tank. While you’re cleaning, use the opportunity to inspect the inside of the tank. Check underneath the gasket or “flapper” to make sure there’s no sediment buildup. If you find sediment, you should consider installing some kind of water filtration system. SANTA ROSA — Host, Sarah Rutan: Today we’re in Santa Rosa with Diamond Certified Expert Contributor, Gary Packard of MAPLEService, Inc. to hear his at-home maintenance tips. Diamond Certified Expert Contributor, Gary Packard: Hi. Springtime is a great time when most of us do a lot of home maintenance. We call it spring cleaning. So, when you’re painting the walls or cleaning your carpet, take a few minutes and think about your plumbing system. Here is a couple of ideas for you to really think about how to take care of your plumbing system so you won’t have unwanted cost. First of all, your water heater. Up on top or on the side, there will be called what’s called a pressure valve. It helps relieve the pressure from your water heater. You want to make sure at least once to twice a year you pop it, relieve the pressure. You’ll hear the water running out. Then you’ll shut it. It’s vitally important that this pressure valve works. It will help you save property and/or damage to yourself. The other thing you want to do with your water heater is to clean and drain it. Now, you can do this yourself or you can call your local plumber. The one thing to do is down here at the cleaning valve, there’s a drain valve right here. Hook a hose up to it right here and run it outside, and simply turn it on. Leave the water on to your water heater, and it will help clear all that calcium out. Once it starts flowing good, then you can turn off your valves and be able to clean and drain the rest of your water heater. When you’re done with that, simply close the valve, take the hose off, and make sure it’s full. If you have a tankless water heater, it’s a little bit more defined. They hang, it costs a lot. You got to have pumps and chemicals to do it. I would recommend calling your local plumber to do that. When it comes to cleaning your toilet, a lot of us just clean the bowl. Especially if we have kids, it’s a job we don’t like. But take a moment and think about the toilet tank. This is what’s known as the flapper, an old-style flapper, that a lot of us still have. And inside the tank, you’ll see the newer ones. This bottom gasket here works as the same as the old one. Clean the inside of your tanks. It’s simple. Just simply turn off the water to the toilet and flush, making sure that most of the water is out and drained out. Then take a clean rag and clean out the inside. At that point, you can check the underneath parts of the flappers to make sure there’s no buildup. And then you can also check to see if there’s any sand or anything else building up in your tank, which means you might have something in your water and may require a filtration system. After that, you can just simply put it back. If you need a new flapper, simply go down to your hardware store or call your local plumber. Diamond Certified RATINGS ON Mapleservice, Inc.
Mapleservice, Inc. : Average 8.7 out of 10 based on 407 unique customer surveys of customer satisfaction. They did a really great job, and I would recommend them. If I recall, they were very prompt. I would definitely recommend them to anyone who needed a plumber. They were very knowledgeable, they left the job really clean, and they spoke good English. Well I'm very loquacious, so I could go on about MapleService. I have followed them from Eureka to Santa Rosa. 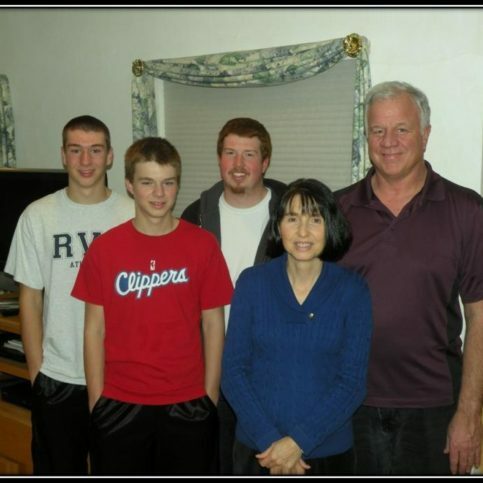 They are a family business, and I have been very pleased with them. Nothing really stands out now. They're not the cheapest, but you get what you pay for. The installer was very personable and explained exactly what he was going to do and did it. I would say it doesn't get any better than that. They were prompt, professional, and pleasant. They just always get it done. I have used them three times, and they are my go-to guys. They were fast, clean, and respectful. I would tell family and friends that they were reliable, fast, and got the job done. They were very courteous and essentially perfect. They were in and out and got the job done. They provided good, reliable plumbing service, and I would use them again. I've used them at least twice, and it's just nice when you can find a company you can't count on. They got the job done, and I would definitely recommend them. They got the job done quickly. We are very pleased with them and have used them for many years. They are reliable and consistent. They were professional, on time, and they got the job done. I would tell people they're in good hands with MapleService. They work at 110%, and I have been using them for twelve years, in conjunction with Christofferson Homes. They are on time. They bring what they need, and there are no excuses. I called three plumbers, and everyone had an excuse. I called MapleService, and they came out in forty-five minutes. They answered all of my questions, and they explained everything to me. I would say to call them if you need a great plumber. The installer was really astute. The installer was really great. He even remembered the house from the previous owners. He knew every room, where everything was located, and had working knowledge of the previous installation. We've used them for around two years and have been very pleased. They're prompt, thorough, and if there is an issue, they come back and make it right. The things I've already listed. They are very good, but a little expensive. They are my go-to company for plumbing issues. They are great. They are all very friendly. He was very fast, efficient, and went out of his way to help. He even went above and beyond what he was there to fix. He quickly found the problem, went under the house, and fixed it. He was also very funny and that just made it better. I would say to give them a try. The technician that came out was very accommodating, and he was very helpful.